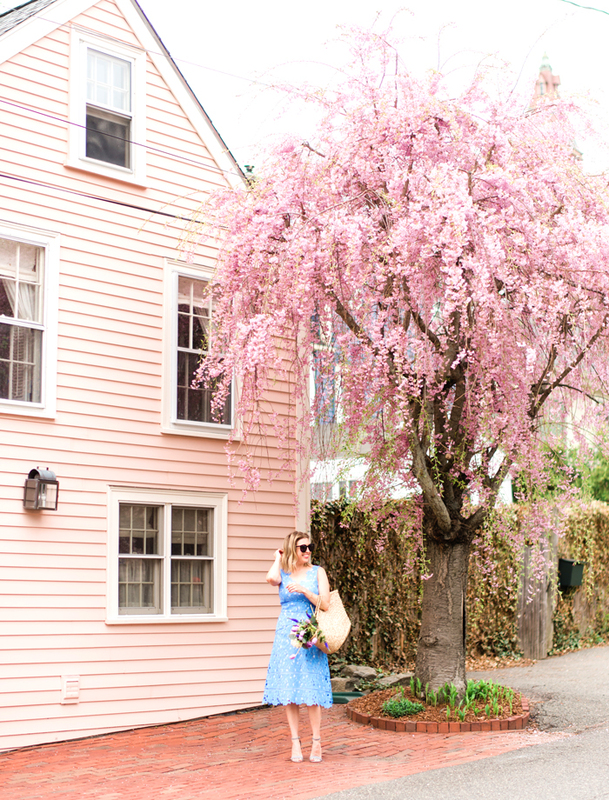 Welcome back to The Beat, where I share some of my favorite beauty products! 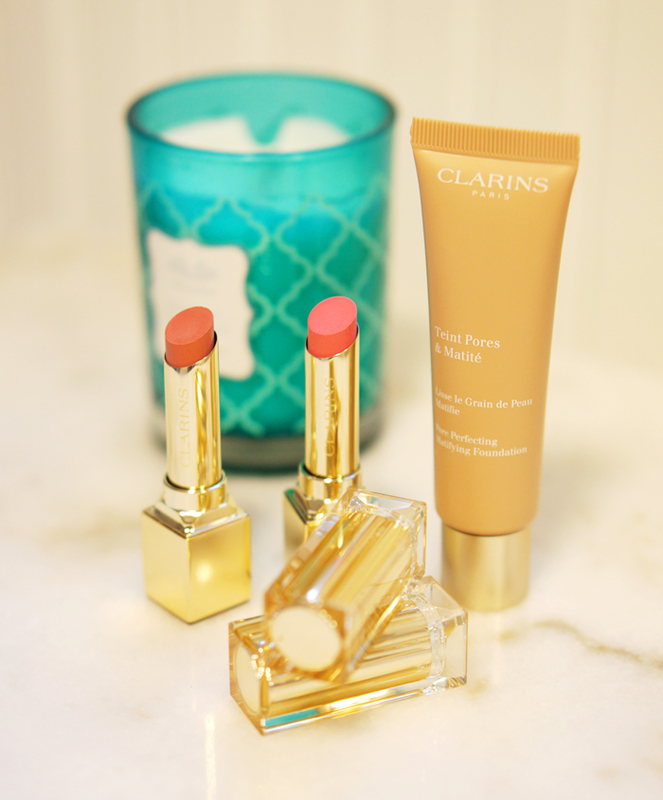 For this installment, I'm covering some fun items from the Clarins spring line. A few of these products are brand new, and a few are re-vamps of Clarins' classics. 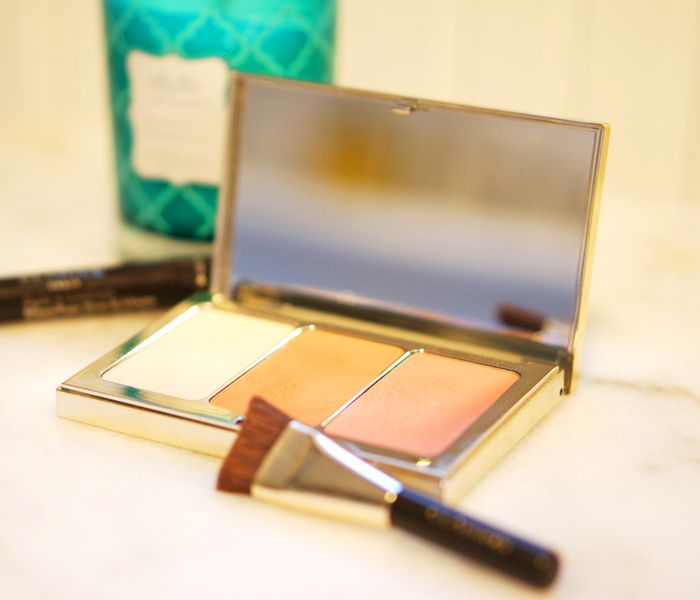 Clarins Face Contouring Palette - I confess that this palette first frightened me a bit. Isn't contouring that thing the Kardashians do? It looks super weird and fake, right? I was pretty sure I (a) would not like the look and (b) wouldn't even be able to figure out how to do it. Readers, I was wrong! This contouring kit is super easy to use (it comes with a literal "paint by number" diagram) and the powder is extremely blendable. It gives my face a pretty summer glow without looking like I slathered on the fake tan. Clarins Pore Perfecting Matte Foundation - I have a lot of freckles, and I love for them to show! I also love the matte, airbrushed effect of a lovely foundation. Dab on this foundation with a beauty sponge to get a finished but natural look - it's perfect for minimizing pores and summer shine. Rouge Eclat (Satin Finish Age-Defying Lipstick) in Rose Praline and Pink Blossom - The more you wear it, the better your lips look. For real! This moisturizing lipstick also includes anti-aging properties and comes in fifteen shades, each one prettier than the last. 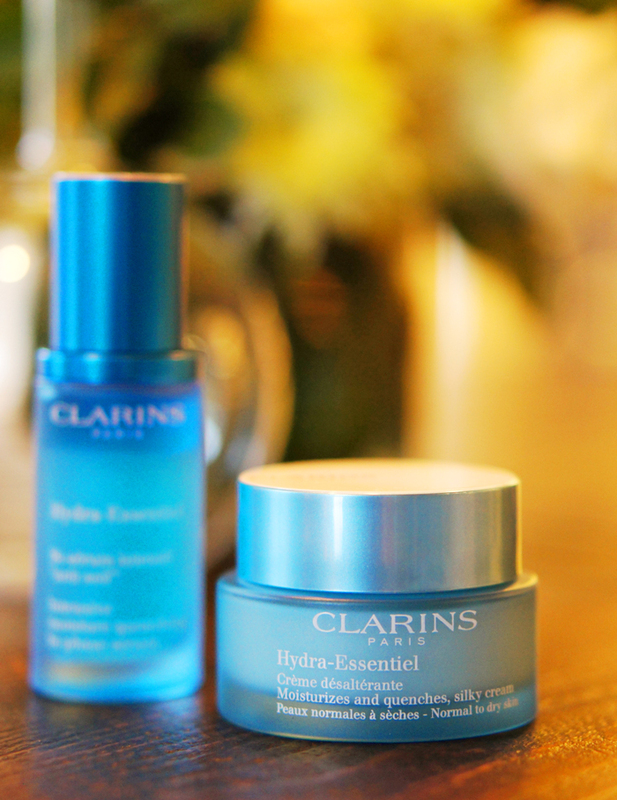 Clarins Hydra-Essentiel Cream - You guys know how much I love a good face cream. This one is perfect for treating your skin after a day at the beach or out in the sun. It contains no SPF or anti-aging properties; this product is simply to hydrate, hydrate, hydrate! Use it in the morning under your sunscreen, or after your shower to lock moisture in. This cream would also be lovely in the winter, when we are suffering from heater-induced dry skin.